The countdown to the new year has begun. Amidst the rush and chaos of Christmas shopping and battling through crowds of people and traffic, there are also decisions to be made about what to wear on New Year’s Eve. Whether it’s a black tie event, a family dinner party, or a party in the club, it’s important that you have fun and feel comfortable all night long. If your New Year’s celebrations include a gala or black tie event then your footwear should reflect the opulence of the occasion. The Via Dante will not only elevate your style but will increase your height from 2.4 inches up to 3.1 inches, giving you that added boost of confidence to elegantly see you through to next year. For style inspiration, think back to the movies and ideas from 1920s and 30s New York. This classic, sophisticated black tie look is a timeless style that never fails. Keeping it casual certainly has its appeal and a sporty look can be perfect for spending New Year’s Eve at home with family and friends. But casual can still look sleek and feel comfortable. One way to enhance your casual outfit this New Year’s Eve is by adding a pair of Corinth by GuidoMaggi elevator shoes. These luxury handcrafted shoes feature braided soft navy leather and a double buckle. They’re ideal for adding a touch of sophistication to a sporty, casual outfit, while maintaining comfort all night long. When you have plans to party at the club all night long you need a style that will dazzle instantly and keep you looking slick right into the small hours. The Zagreb elevator loafers will keep you looking sleek, stylish and elegant on the dancefloor. They will increase your height by 2.6 inches and keep you in luxurious comfort while you dance the night away. With a silver tone buckle effect detail they will deliver the glitz that every New Year’s Eve party requires, whether you choose to opt for a formal outfit or a smart casual one – the shoes will be your must-have accessory. 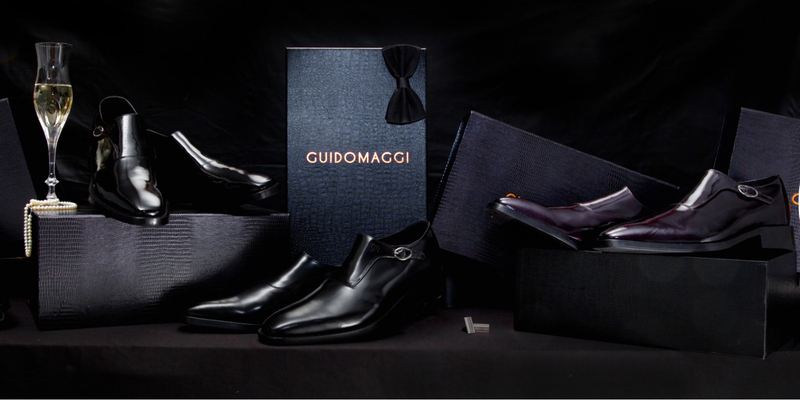 No matter what type of look you decide to go for on New Year’s Eve, kick off the new year being a few inches taller with the help of GuidoMaggi elevator shoes and add a touch of Italian luxury to your celebrations. Happy New Year!